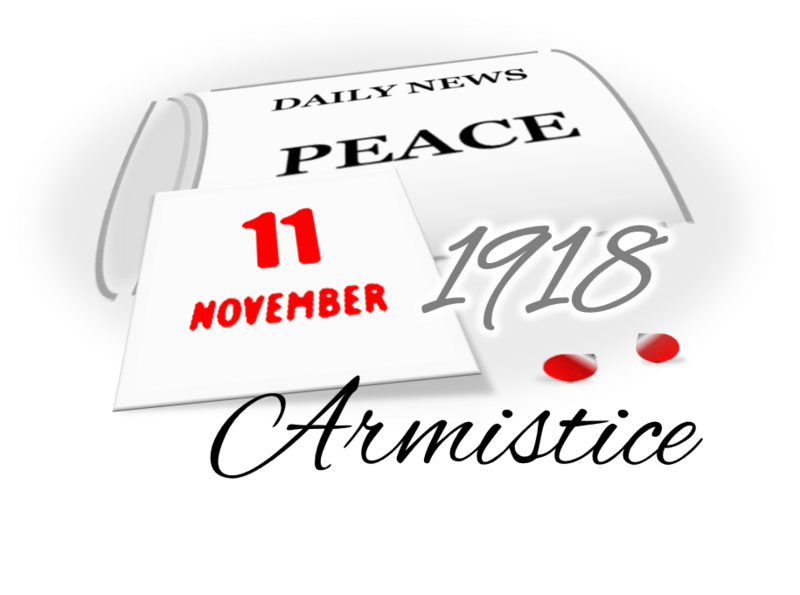 World War One ended at 11 a.m. on the eleventh day of the eleventh month in 1918, with Germany signing an armistice agreement with the Allies in a railway carriage outside Compiégne in France. The Great War was at an end but millions of service personnel had paid the ultimate sacrifice. In Ivybridge, the names of those who fought would be remembered. In St John’s Church, three frames hold the Roll of Honour from World War 1. The list was compiled by Frederick Rutherford who kept one list on the church door and another in his Chemist Shop window at 37 Fore Street, for the duration of the War. The list contains far more names than one would expect but residents added men who no longer lived in the village but resided elsewhere. The memory of those who have made the supreme sacrifice filled all our hearts, and our keenest sympathy went out to those whose joy in the glorious news was mingled with a great sorrow for those ‘loved long since and last awhile’. Nov. 11th, 1918, will be a day to be remembered for all time as the greatest day in our history; a day which we trust will annually be commemorated with rejoicing and thanksgiving. Ivybridge Parish Magazine – December 1918. That evening the Parish Church was filled to capacity, with a congregation which included all the patients and staff from the V.A.D. Hospital and the Boy Scouts. The Wesleyans and Congregationalists also held services to equally crowded congregations. As early as January 1919, a public meeting was held to discuss the issue of a permanent memorial for all the servicemen who had lost their lives in the war. Mr H.J.F. Lee, Chairman of the Urban Council presided over the meeting where it was agreed that the unused monies of the Coronation Fund, Fire Relief Fund and Belgian Refugees Fund should be used for a public memorial. Other suggestions to commemorate the fallen included an arch with a central clock, a public library and public hall, which was strongly supported, alms-houses for the poor, and even a cottage hospital. A special ceremony took place on Sunday 24th September 1922. 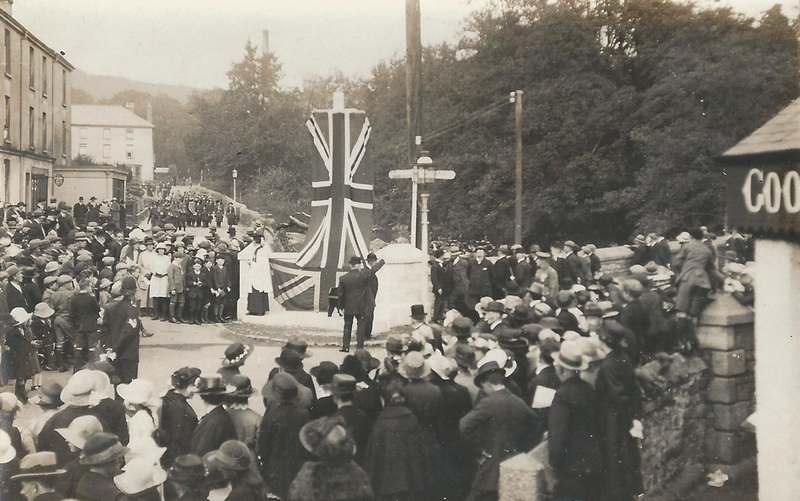 Francis Bingham Mildmay, (Lord Mildmay of Flete) Conservative Member of Parliament for Totnes, unveiled the war memorial with a very large crowd in attendance. Just a few of over 300 men who had a connection with Ivybridge and served during the war. Survived the War and became a prominent member of a local building business. He regularly sang in the St John’s Church Choir. Became the Station Road School caretaker. Despite being severely wounded by aircraft fire in the trenches, survived to become Headmaster of Modbury School. Was the miller at Lee’s Provender Mill. Served with the Royal Navy, later joined the Plymouth City police force. Set up a coal merchanting business and later he became a dairyman living at Hawthorn House on the end of Costly Street. Had worked at Stowford Paper Mill before the war, returned to his job. He joined the workforce in 1912 as a cutter-boy earning 7/- a week including bonuses. He enlisted in 1916 aged 18, making the journey to Plymouth and joining the Duke of Cornwall Light Infantry. After just two months of training he was at the Western Front. He was one of the lucky ones, as only 6 of the 200-strong group survived. He continued to work at Stowford Paper Mill until 1965 when he retired, clocking up an impressive 51 years of service. In 1987 he was invited back to participate in the paper mill’s Bicentenary celebrations. “The memory of those who have made the supreme sacrifice filled all our hearts, and our keenest sympathy went out to those whose joy in the glorious news was mingled with a great sorrow for those ‘loved long since and last awhile’. Nov. 11th, 1918, will be a day to be remembered for all time as the greatest day in our history; a day which we trust will annually be commemorated with rejoicing and thanksgiving”. Herbert Blight survived the War and became a prominent member of a local building business. He regularly sang in the St John’s Church Choir. Harold Folley became the Station Road School caretaker. George Close, despite being severely wounded by aircraft fire in the trenches, survived to become Headmaster of Modbury School. Charlie Broom was the miller at Lee’s Provender Mill. Sydney Maddock who served with the Royal Navy, later joined the Plymouth City police force. Trevor Withycombe set up a coal merchanting business and later he became a dairyman living at Hawthorn House on the end of Costly Street. Bill Mitchell who had worked at Stowford Paper Mill before the war, returned to his job. He joined the workforce in 1912 as a cutter-boy earning 7/- a week including bonuses. He enlisted in 1916 aged 18, making the journey to Plymouth and joining the Duke of Cornwall Light Infantry. After just two months of training he was at the Western Front. He was one of the lucky ones, as only 6 of the 200-strong group survived.